Footballgroundmap.com is owned and created by Rob Clarkson, a 30-something football fan from the red half of Sheffield. I love football, especially away days. (I'm the one on the right). I created footballgroundmap.com as a Facebook app in 2008. 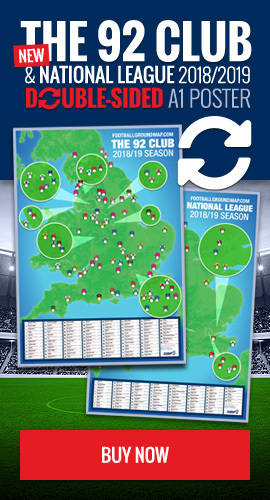 Originally intended to just cover the 4 main English leagues, the sites has grown to tracking almost 4,000 ground locations from every corner of the globe. Keeping the site updated takes a lot of time and I hope brings pleasure to the thousands of fans who travel to away games up and down the country every week. So, if you use the site and like what you see, feel free to click the Donate button below and buy me a pint - from one football fanatic to another.